I am sitting my kitchen doing a little automotive research. I was looking at future car technology. There are some really cool things that we will see in the future. Kinda scary really. Well that got me thinking. For some reason I got to thinking about tire pressure monitor systems. Kinda strange right? If you own a car newer than 2008, it must be equipped with a system that monitors the tire pressure called TPMS. It is a system that monitors the air pressure in your tires. It came about after the Ford and Firestone disasters in the late 1990s. I worked at Carmax at the time and selling Explorers was tough. So that got me thinking about other safety and security type things. Take the wheel locks on most cars have. Do they really prevent wheel theft? 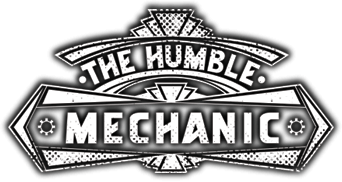 Or is it just more of a hassle for the customer or the mechanic working on the car? Let’s look at some other things that fall into this category. All VWs and many other brands have security lock out codes. You can not turn on the radio with out this secret code. I know that cars get broken into all the time. But do the secret codes prevent the actual theft? If my radio got stolen, I don’t really care what happens after that. Plus the codes are really easy to get. So to me, it is just more hassle for the customers. I touched on it a little above. Wheel locks are the one we have the most issues. It’s either “I lost me wheel lock, can’t find my wheel lock, or YOU(meaning me) lost my wheel lock”.If a theft really wants your nice rims, they are going to get them. There are several tools to remove wheel locks with out the proper key. I won’t tell you how to do it, but it can be done. It is often more hassle for the cars owners than any thief. Heck I am sure most good thieves can take wheels off faster than I can. 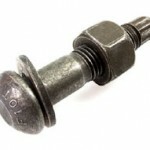 There are several bolts on a VW that are shear bolts. That means they have no way to loosen them. They must be drilled out cut off, or removed with an extractor. 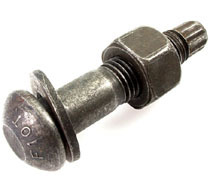 The most common components held in with shear bolts are ECMs and ignition switches. Again, I think a good thief can rip an ECM out way faster than I can. I guess when you don’t care about doing damage to a car, you can “tear out” parts faster. What do you guys think? Are these so called “security systems” a good thing, or just more work for the owners? I want to just take another minute to thank you all for being awesome. I really appriate all the likes, tweets and comments. It means so much to me that you would take a few minutes to interact with me and the rest of the community here. Your support is really one of the main things that keeps this site going! You are welcome,we love reading all of the great info and stories on here!!! Those “Chastity” bolts on ECMs were done at the behest of the European insurance industry. For a while there, a very common means of stealing a car in Europe was to pull out the original ECM and replace it with a “Special” one that had the Immobilizer disabled. Making it physically difficult to swap ECMs was meant to slow down the thieves. As we all know, they want to be “Gone in 60 seconds”. You should see what they do on late model Audis now with “Component Protection”. You need GeKo to replace most any control module, even stuff as mundane as a seat memory controller. In general, I think most of this stuff is a net negative for the end-user (owner of the car) because it increases the long-term cost of ownership. That is crazy. Maybe one day we will have to code fuses before installing them. Also, I really like the term “chastity bolts”! I think the security features are just like locks, all you can hope for is to slow down the thief enough so they will look else were. If someone is determined enough, they will get what they want.